Invisible particles washed off products like synthetic clothing and car tyres account for up to a third of the plastic polluting oceans, impacting eco-systems and human health, a top conservationist body warned Wednesday. But they constitute a significant part of the "plastic soup" clogging our waters—accounting for between 15 and 31 percent of the estimated 9.5 million tonnes of plastic released into the oceans each year, according to the International Union for Conservation of Nature (IUCN). 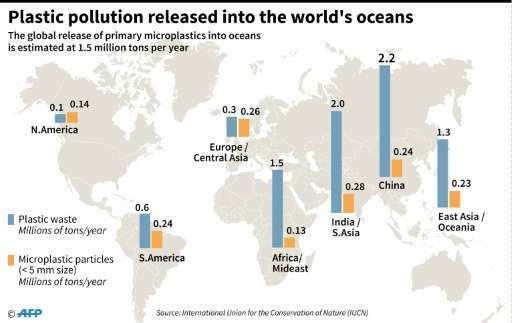 In its report "Primary Microplastics in the Oceans", IUCN found that in many developed countries in North America and Europe, which have effective waste management, tiny plastic particles are in fact a bigger source of marine plastic pollution than plastic waste. In addition to car tyres and synthetic textiles, such particles stem from everything from marine coatings and road markings, to city dust and the microbeads in cosmetics. "Our daily activities, such as washing clothes and driving, significantly contribute to the pollution choking our oceans, with potentially disastrous effects on the rich diversity of life within them, and on human health," she warned. Karl Gustaf Lundin, who heads IUCN's Global Marine and Polar Programme, acknowledged that few studies have been done so far on the impact of tiny plastic particles on human health. IUCN is calling on the makers of tyres and clothing especially to shift their production methods and make products that pollute less. Lundin pointed out that tyre makers could for instance revert back to using mainly rubber, while textile makers could stop using plastic coatings on clothes. 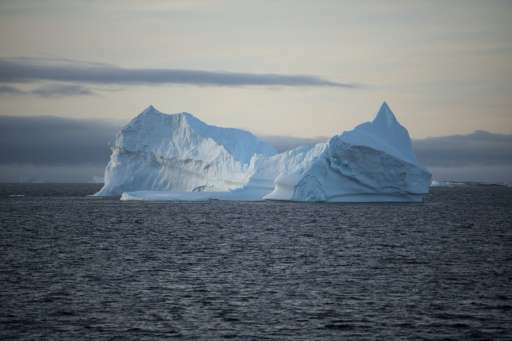 Such steps are vital to limit the damage, he said, warning that the situation is particularly worrying in the Arctic—the biggest source of sea food in Europe and North America. This documentary appeared on Australian ABC TV program Four Corners a few days ago. Life without plastic is almost unimaginable. It's become central to the way we live our lives - from everyday items like food packaging and water bottles, to sophisticated high end products. But how many of us know what happens to that plastic when we throw it away?